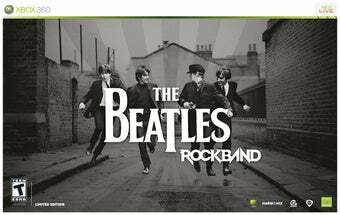 When you're building something like The Beatles: Rock Band, the development cycle isn't entirely on the coding end. A team of lawyers for the Beatles worked for six months on the likenesses, names and trademarks that went into the game. The Lawyer, a legal industry site, reports that the U.K. firm Eversheds handled a slew of agreements for Apple Corps, the Beatles' corporation. The work included not only contracts with Harmonix for Beatles: Rock Band, but also a deal with Disney to produce a new version of the Yellow Submarine animated film in 2012. "This is the public culmination of around six months of legal work," said Nick Valner, the partner who led the Apple Corps legal team. Valner added. Six months may sound like a ton of work; in lawyer land, it's the blink of an eye. And if it's what is needed for all the i-dotting and t-crossing, well, it's food for thought considering there might be well more than six months of legal wrangling coming up between Courtney Love and Activision.